‘There’s no point in trying to fix things. The people making the decisions have no experience in physiotherapy. Just stay low and keep moving’. Maybe you’ve felt like this, or have had these thoughts about your patients. Maybe you’ve made these comments to your colleagues, or maybe you’ve heard them from someone you work with. After all, everyone has a bad day now and then, right? What about the person you no longer work with, someone who quit their job rather than ‘keep on keepin’ on’…? The statements above could reflect a bad day, but I believe they reflect something more; something the physiotherapy community needs to have a serious conversation about: burnout, and its impact on both the profession and on the patients we serve. Burnout is “… a syndrome of emotional exhaustion, depersonalization, and reduced personal accomplishment that can occur among individuals who work with people in some capacity.”1 Due to the nature of physiotherapy in which we provide care to patients within an increasingly demanding health care system, physiotherapists are at risk of burnout. Emotional exhaustion is the feeling that one has nothing left to give of themselves. Depersonalization is characterized by a lack of empathy, and the perspective that others are deserving of their troubles (‘if they won’t do their part, I can’t help them’). Personal achievement, the sense that you make a difference, can be a buffer against burnout. The lack of a sense of personal achievement (‘nothing I do makes a difference’) contributes to burnout. Think of emotional exhaustion as the ‘canary in the coal mine’, a warning sign to be taken seriously. If over a third of physiotherapists are reporting emotional exhaustion now, we should be concerned. This is a harbinger of burnout to come in the years ahead. 2. Burnout contributes to absenteeism and attrition. The research was inspired by a conversation. When asked about occupational health and safety issues, one health leader commented that the biggest issue she faced was that she barely got one staff member back from stress leave when the next one left for the same reason. I had worked for that leader’s organization for years and had noticed an ongoing problem with staff retention. Each fall, we would hire several new grads as staff physiotherapists. But by the time September rolled around again, we had numerous vacancies and were barely holding on, waiting to hire new staff from the next graduating class. In talking to physiotherapists working for other employers, I learned that this wasn’t a unique experience. I don’t know precisely why we suffered this level of turnover, or where people moved to professionally when they left, but the simple fact is that organizations cannot afford to lose staff on an ongoing basis. What’s more, with employers challenged to hire staff, and low vacancy rates for physiotherapists, the profession can’t afford to lose even one. 3. People who are burned out aren’t just ‘unhappy’, they’re risky. Burnout can contribute to communication problems, a lack of work engagement, low-quality patient care, and disruptive behaviour at work.4 Physiotherapists who are burned out put themselves and their employer at risk of patient complaints and patient safety incidents. Imagine you work in a physiotherapy practice that employs a total of 15 physiotherapists. If 7% of the people you work with have a high degree of burnout in all 3 domains, at least one colleague is burned out, and more than 4 others are well on their way. When I worked clinically, I was in a department consisting of roughly 22 physiotherapists and 10 physiotherapist assistants. Looking back, I find it easy to identify the people who were showing signs of burnout. Things they said, the amount of sick time, and their approach to work in general all clearly demonstrated burnout. I can also look back at different phases in my career and recognize when I had moved beyond having a bad day to showing signs of burnout. I only wish I had realized it at the time. It’s time to get serious about the issue. Reflect on your experiences, and those of people around you. Are you emotionally exhausted, seeing your patients as things rather than people, feeling that what you do doesn’t matter? Do you know how to recognize if someone you work with is showing signs of burnout? Discuss the issue with your colleagues, managers and leaders. Simple changes – how the work day is designed, how feedback is provided, how coworkers support each other when faced with challenging patient scenarios – make a difference. If you’re a leader, ask yourself how you can make work better for you and your team. Realize that even if you are not a leader you have an important role to play in opening the discussion in your workplace, giving and receiving support, and seeking solutions to challenges. If you are burned out, you need to speak up. Get support to address the problem. Many employers offer employee assistance programs (EAPs) to support staff in challenging times. It’s also important to identify when work demands are unreasonable, and act to address the situation. Physiotherapists are high achievers. We like to rise to a challenge and exceed expectations. In this way, we can be our own worst enemies. Although ‘work-life balance’ is a well-worn cliché, the importance of having work boundaries can’t be overstated and we have to understand that there’s more to life than work. We’ve all had the occasional bad day at work, that day when everything goes wrong. On those days, I refer to myself as having the ‘merde touch’ (opposite of the Midas touch - apologies to my francophone friends). 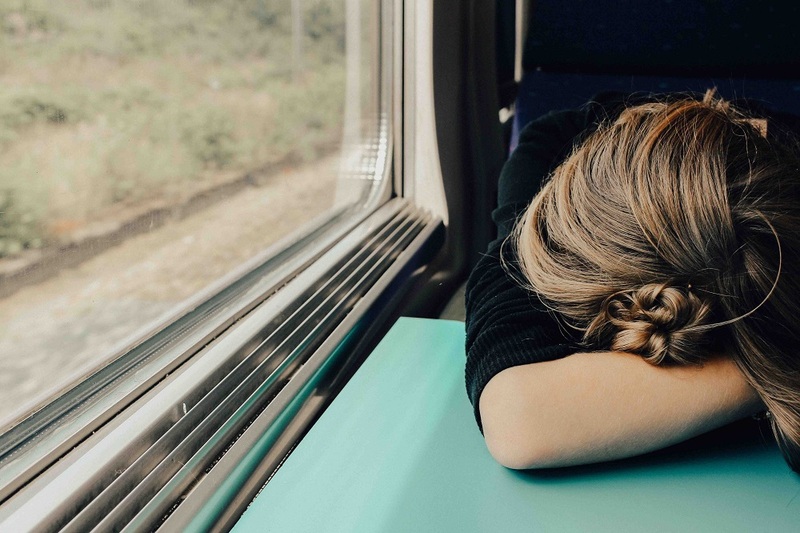 But if those days are frequent, and joy at work is rare, it may be time to ask yourself whether burnout is the real issue, and find out what you can do to address it. LEANNE LORANGER, PT is a graduate of McMaster University’s Master of Health Management program (2016) and the University of Alberta’s Department of Physical Therapy (1995). She is the Manager - Policy + Practice at Physiotherapy Alberta and is involved in practice and quality improvement related activities, including resource development and continuing education planning. 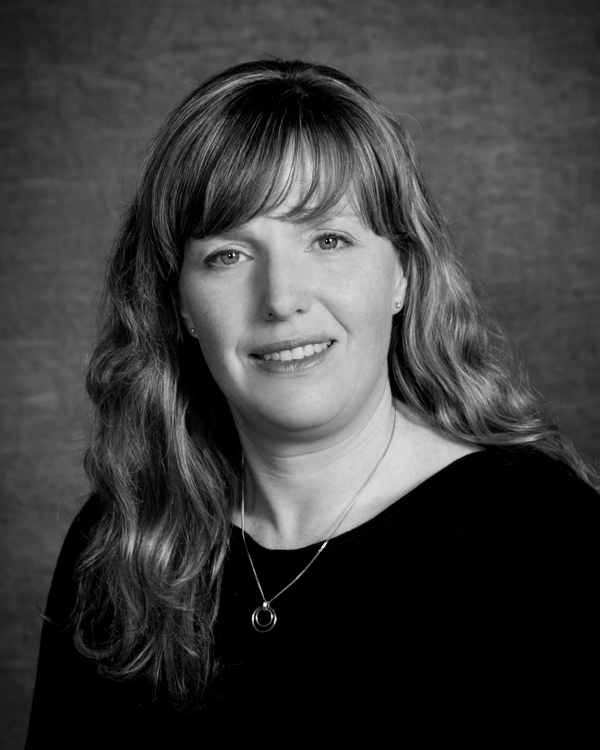 Prior to taking on her current role, Leanne worked for 19 years in clinical practice. Maslach, C., & Jackson, S. E. (1996). Maslach Burnout Inventory-Human Services Survey (MBI-HSS). In C. Maslach, S. E. Jackson, & M. P. Leiter (Eds. ), Maslach Burnout Inventory Manual (3-17). Palo Alto, CA: Consulting Psychologists Press. Bainbridge, L., Davidson, K., & Loranger, L. Burnout among Alberta physiotherapists: A white paper. Retrieved from https://www.physiotherapyalberta.ca/files/burnout_white_paper.pdf Accessed November 14, 2017. Health Quality Council of Alberta. (2013). Managing disruptive behaviour in the healthcare workplace: Provincial framework. Retrieved from https://d10k7k7mywg42z.cloudfront.net/assets/531e04a0d6af6803fd000864/HQCA_Disruptive_Behaviour_Framework_041113.pdf Accessed November 14, 2017. Thanks so much for bringing this matter to light Leanne, it does seem we may have a problem here - I heard about it A LOT during Physio Moves Canada this year. It can be hard to talk about, and my take is that PTs are very proud people who do not like admitting anything that might show chinks in a very well-polished armour that they've built for themselves. But we do indeed get 'merde' on from time to time, to borrow your phrasing, and we really need to talk about it. In fact, as I'm working on the first manuscript from the PMC project, one of the 8 meta-threats to current PT practice is balance, burnout, and the glass ceiling. It's ok to be burnt out, and I can say with confidence that it's not a problem unique to PT - all sectors of healthcare appear to deal with the same thing. My colleagues in nursing tell me problems with absenteeism are even more pronounced than in PT, and my practicing physician friends and colleagues routinely talk in terms that indicate burnout. I love the idea of trying to spark conversation on it - I won't pretend to have the solutions, but I feel like getting the issue out into the open is a great first step. I'm reminded of a story I read just yesterday about a Twitter user who reached out to TV producer Dan Harmon (some may remember him as the creator of the show Community) asking him for his perspectives on depression. Rather than blowing it off he responded in a deep and insightful way, and Twitter responded positively (here's the link: https://twitter.com/i/moments/936394112525144065). Maybe we can do the same thing here. I know I'd quite like to hear stories of those who have found successful strategies to manage professional burnout. Thanks for your comment. I agree that the problem is not unique to PT. I'm not sure that we know which professions are 'better' or 'worse off' on this front. There has certainly been a lot more research into physician and nursing burnout than there has been in the field of PT, at least in recent years. I wonder if that stems directly from our desire to hide the 'chinks in our armour' as you put it, or if it actually reflects a difference in the prevalence of the problem. I agree that it is essential that we talk about the issue with friends, colleagues and system leaders - both to gain important support to help manage burnout, and to get serious about some of the modifiable factors that contribute to burnout. Thanks for writing this piece Leanne, I totally agree that burnout is a problem that needs addressing. I agree with most of the statements above, but the only one I'm hesitant about is the statement around empathy and that "If they won’t do their part, I can’t help them." I'm not long into practice myself (4-5 years), but I found early on in my first few years I had the idea in my head that I was going to "fix" everyone that walked throught the door, and there was no excuse if I couldn't. I found out shortly that this wasn't the case and that you needed to work as a team with your patients, both putting in your efforts to help them improve. Now I do believe it is our responsibility to try and help them along the stages of change and to help them make the decision to want to improve, but if people are being sent by practitioners or family members without any will to make a change and hoping for a passive fix, likelihood is I won't be able to help them without their active engagement. Now I know it's a specific example, but I found early on if I kept up this same expectation and mindset I couldn't imagine lasting long into my career. I still feel as though I am very empathetic, but more realistic and understanding that patient engagement and expectations are vital to our therapeutic success. Burnout est une chose courante dans le monde de l'entreprise et son employé peut avoir un effet dévastateur. Dans cet article, vous avez décrit les informations précieuses. Merci, Leanne.